We serve a wide area in East Tennessee. 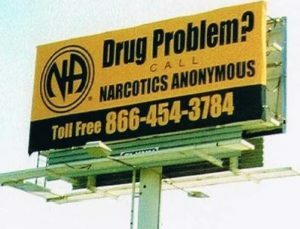 The purpose of this web site is to supply the viewer with current meeting lists and information about recovery in Narcotics Anonymous. If you think you may have a problem, we encourage you to attend one of our meetings. Call or text the number. Get the just for today read to you. Narcotics Anonymous is a non-profit association of men and women helping each other to overcome drug addiction. Regular meetings are held with the goal of encouraging each other with this new way of life. Membership is open to anyone looking for support in the narcotic addiction recovery process. There are no dues or fees. At meetings, members share their successes and challenges in overcoming active addiction and living drug-free, productive lives. The principles of the Twelve Steps and Twelve Traditions of NA are the core of the recovery program. Narcotics Anonymous is not affiliated with other organizations, including other 12-step programs, treatment centers, or correctional facilities. As an organization, NA does not employ professional counselors or therapists nor does it provide residential facilities or clinics. Additionally, the fellowship does not provide vocational, legal, financial, psychiatric, or medical services. NA has only one mission: to provide an environment in which addicts can help one another stop using drugs and find a new way to live. If you are struggling with addiction, please consider attending one of our meetings to discover how Narcotics Anonymous can help.